Chennai, INDIA – June 11, 2018 – Complete with Chatbots, Facial Recognition based Time & Attendance, wizard based innovative methodology for onboarding a payroll client, and tools for multi-dimensional reporting, Ramco Systems focus on Innovation to drive simplification, standardization and automation in HR & Payroll processing wins Global Payroll Association’s ‘Payroll Innovation Award’. Presented by UK headquartered Global Payroll Association, The Payroll Awards held in Lisbon on June 7, 2018 witnessed global payroll professionals from all over the world celebrate excellence in payroll, software, and consulting. Further extending its offerings under the Frictionless series, Ramco Systems is building Voice based virtual assistants which allow users to complete ERP/ HR transactions on Google Assistant or Amazon Alexa. Ramco will team up with HR technology thought leader William Tincup, President of RecruitingDaily, for a live online webinar on the future of enterprise applications with Voice being the new user interface (UI) on June 14, 2018. Despite its popularity in the consumer sector, voice-based services are yet to get mainstream for initiatives to digitise workplaces. Ramco is an early mover in the use of voice-based assistants to automate everyday administrative functions so that ERP and HR users can focus on the strategic tasks. Ramco plans to offer its voice UI functionality for regular transactions such as accessing payslips and leave balance, raising purchase requests or even booking time sheet. Ramco, which operates 24 global offices, with two state-of-the-art innovation centres, having Payroll coverage for 40+countries also highlighted that the webinar around ‘Voice is the new UI’ will highlight trends and demo of how voice user interface technologies can redefine enterprise ecosystems, boost productivity and create holistic employee experiences. “We are entering an era where technology will help ‘HR become Human Again’ by enabling them focus on strategic transactions leaving the rest to technology assistants. 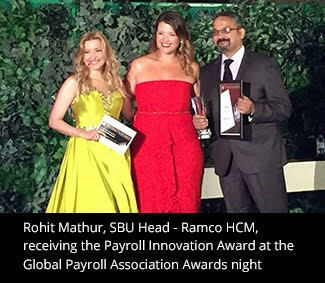 Winning the Global Payroll Award for Innovation is a testament of the transformation and benefits our customers have reaped from our Next-Gen Payroll software,” said Virender Aggarwal, CEO, Ramco Systems. “With Voice, enterprise applications are gearing up to skip a whole new generation of User Interface. The novelty, ease and near zero effort required in designing an intuitive interface will drive more transactions to move the Voice way. Voice UI represents the interface of the future. It responds and works in ways that are easier and faster than brewing a cup of coffee,” added, Aggarwal.